The Beken America's Cup Project is a rare collection of pictures using the printmaking skills of Gerrard Aniere together with images from the archives of the Beken family and is a collaboration between Ken Beken, Gerrard Aniere, Alan Jones and Carl Falck of CFA Creative Ltd. A limited edition boxed set of prints together with a book on the history of the race, the contenders, and the print making techniques is available for private collectors and museum curators. Price on application. 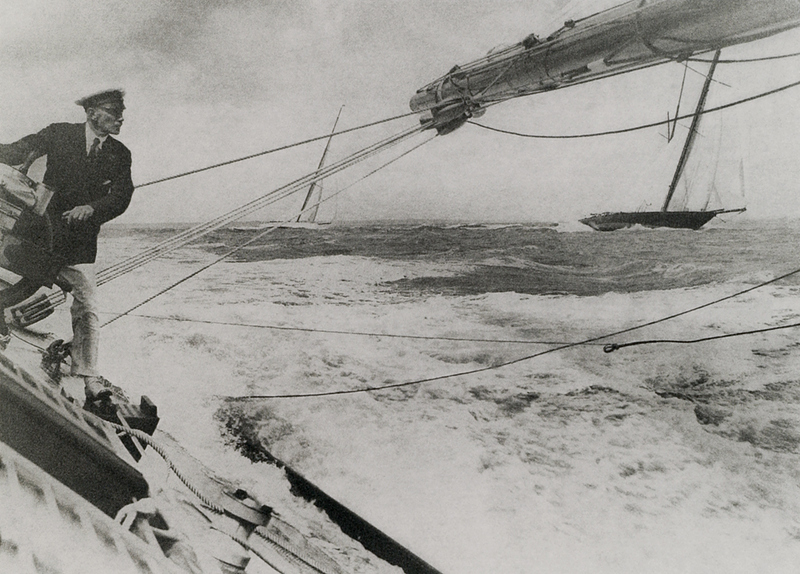 Charles Nicolson at the helm, ahead of Britannia in the America's Cup 1930's race, Photographed by Frank Beken; Limited edition print by Gerard Aniere; signed by Ken Beken (Beken of Cowes) Print: Gum Bichromate on hand made watercolour paper with emulsion coating / Gum Arabic combination of pigments and Bichromate sensitiser to provide a softer colour print, fashionable at that time. Print size: 500x360mm, mounted and signed. 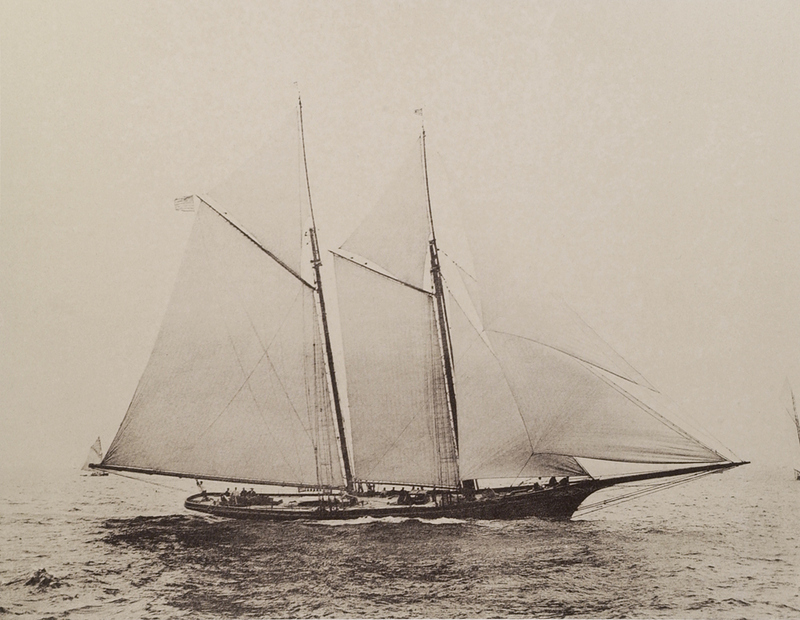 Vigilant 1893: Designed by Nathaniel Herreshoff; Photographed by Frank Beken; Limited edition print by Gerard Aniere; signed by Ken Beken (Beken of Cowes) Print: Van Dyke also know as Brown print process using silver and Ferric Silver Ammonium Citrate on hand made watercolour paper with emulsion coating, Print Size: 500x360mm, mounted and signed. Shamrock IV & 23 meter Shamrock 1920; designed by Charles Nicolson for Sir Thomas Lipton in the Gosport firm of Camper and Nicolson; Photographed by Frank Beken, Limited edition print by Gerard Aniere; signed by Ken Beken (Beken of Cowes) Print: Palladium compound on hand made watercolour paper with emulsion coating, 500x375mm, mounted and signed. 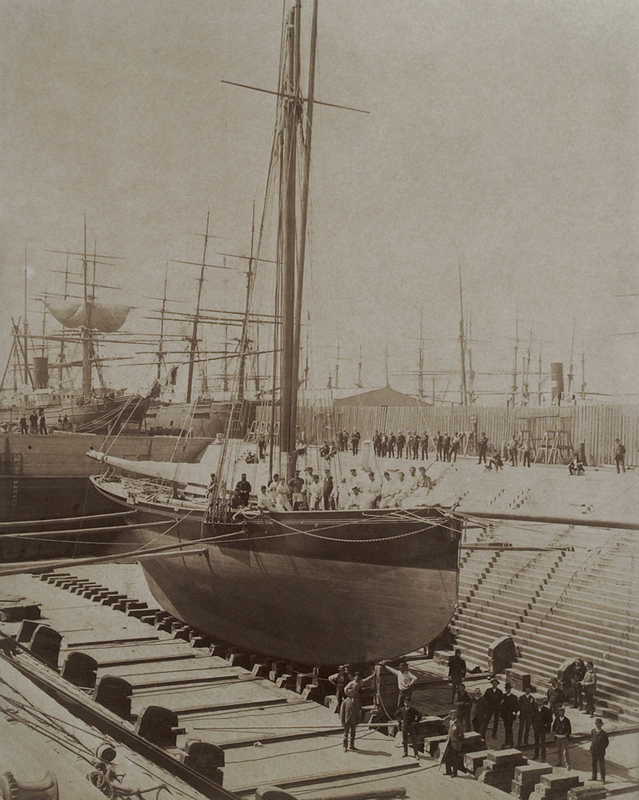 Livonia 1871; owned by James Ashbury under the flag of Royal Harwich Yacht club; photographed by Frank Beken, Limited edition print by Gerard Aniere; signed by Ken Beken (Beken of Cowes) Print: Photo Gravure on hand made watercolour paper with emulsion coating, Print size: 500x400mm, mounted and signed. 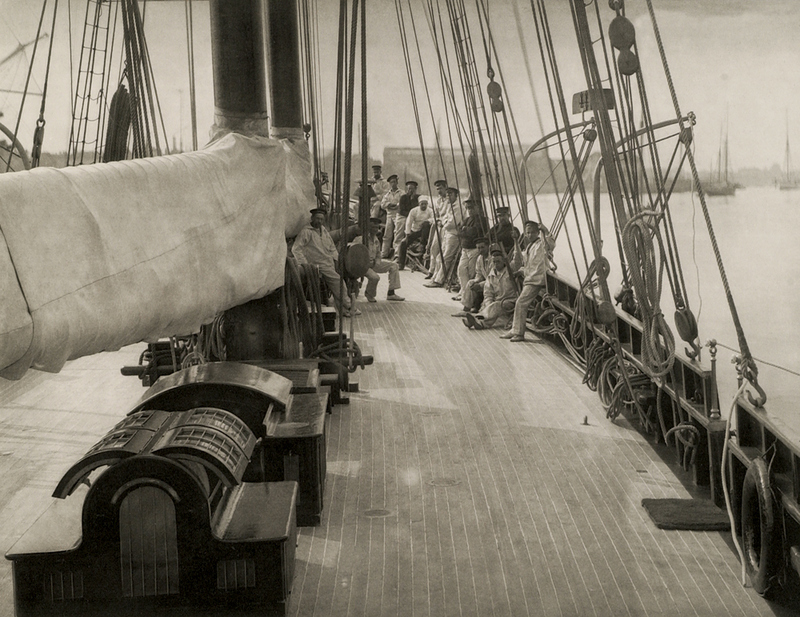 America 1851; photographed at the Royal Yacht Squadron’s One Hundred Pound Cup around the Isle of Wight by Frank Beken; Limited edition print by Gerard Aniere; signed by Ken Beken (Beken of Cowes) Print: Gelatin Chloride, following the salt and albumen processes on hand made watercolour paper with emulsion coating, 502x389mm, mounted and signed. 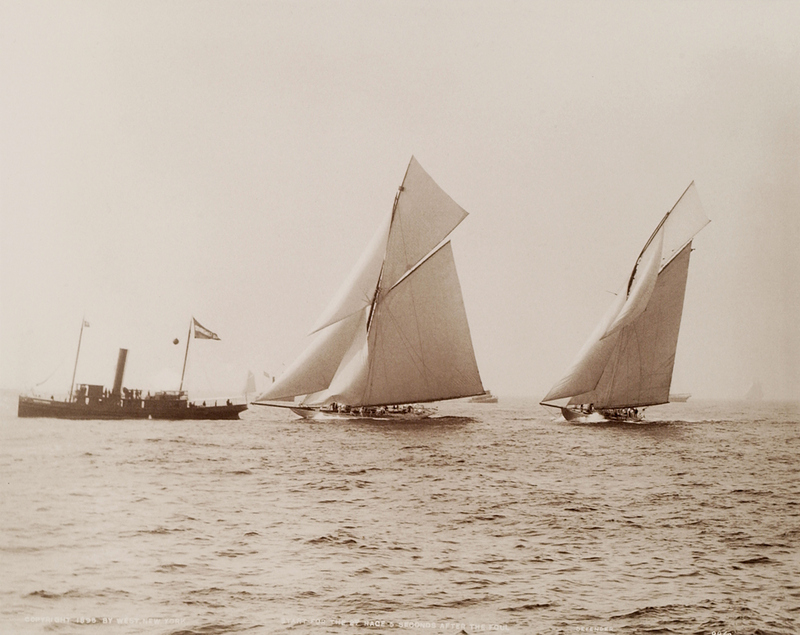 Defender and Valkyrie III 1895; the photograph was taken by Frank Beken; 5 seconds after a foul by Valkyrie III upon defender, breaking her topsail mast at the start of the race which gave Valkyrie III a winning advantage. 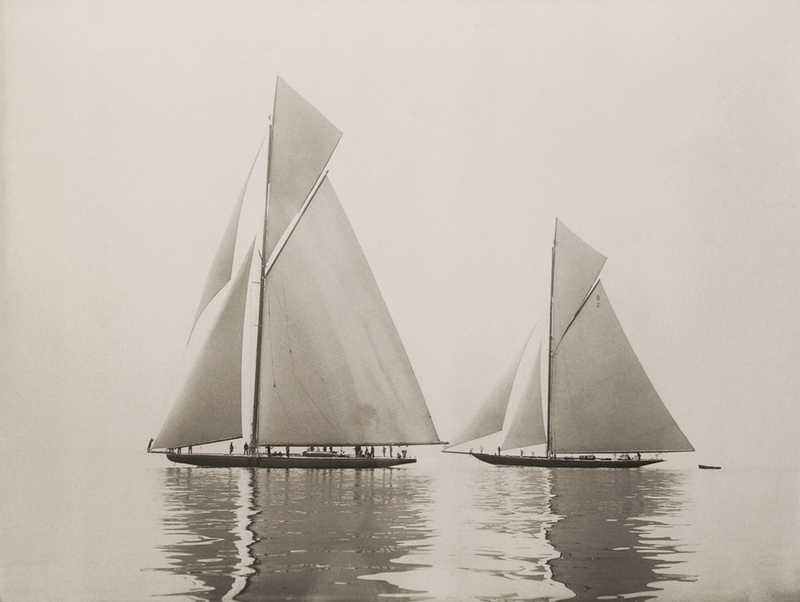 Limited edition print by Gerard Aniere; signed by Ken Beken (Beken of Cowes) Print: Albumen, Print size: 500x385, mounted and signed. 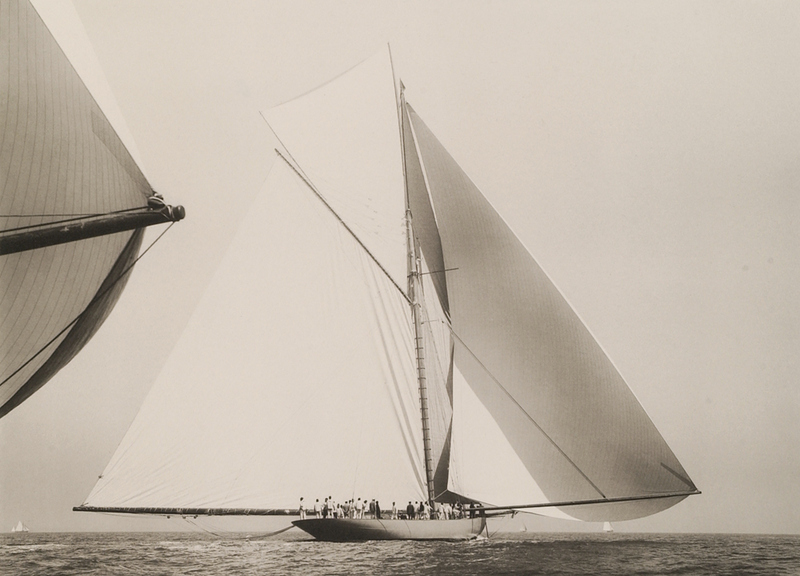 Endeavour 1934; Designed by Charles Nicholson and owned by Sir Thomas Sopworth on the Solent. Limited edition print by Gerard Aniere; signed by Ken Beken (Beken of Cowes) Print: Kallitype 500x400mm, mounted and signed. 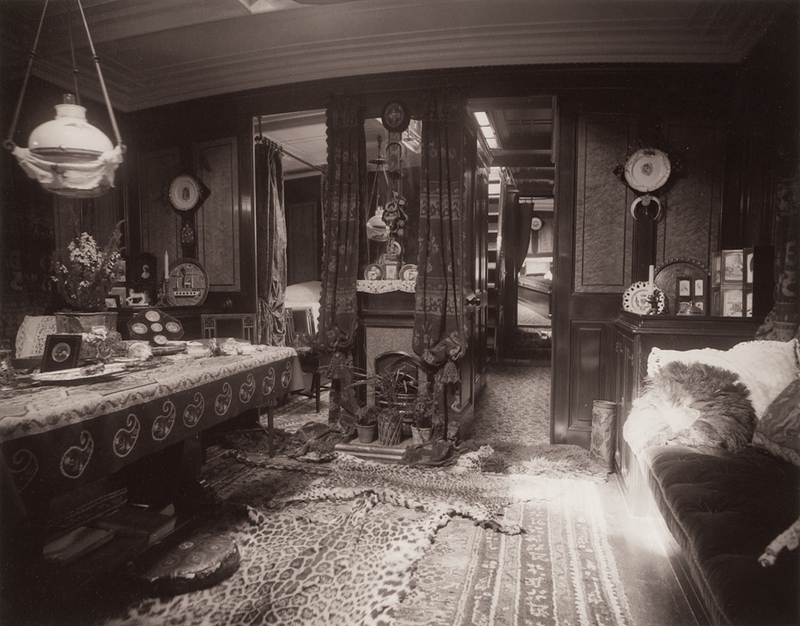 Galatea 1886; In order to make the 30-day trans-Atlantic crossing from America to Cowes, Galatea was refitted with a sumptuous interior. 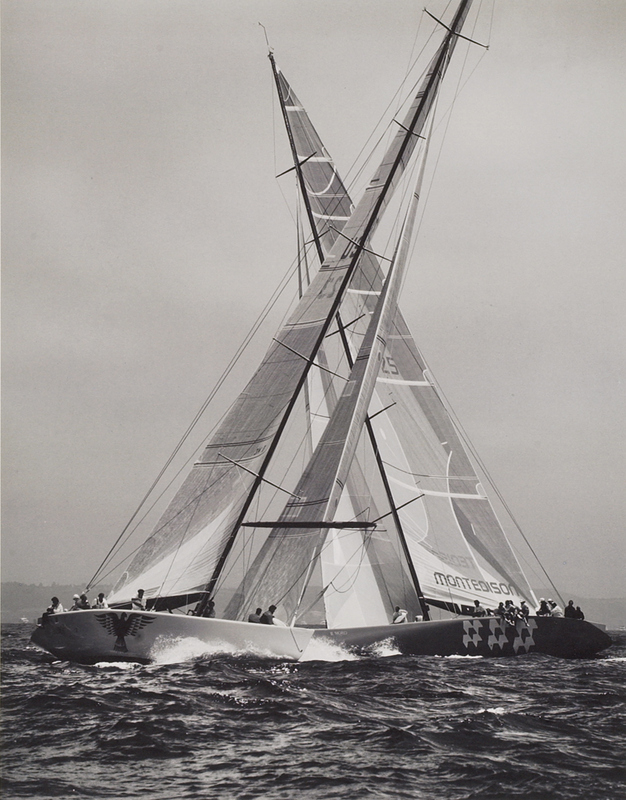 Limited edition print by Gerard Aniere; signed by Ken Beken (Beken of Cowes) Print: Carbro print of Silver Bromide with Carbon coated paper; Print Size: 495x390mm, mounted and signed. 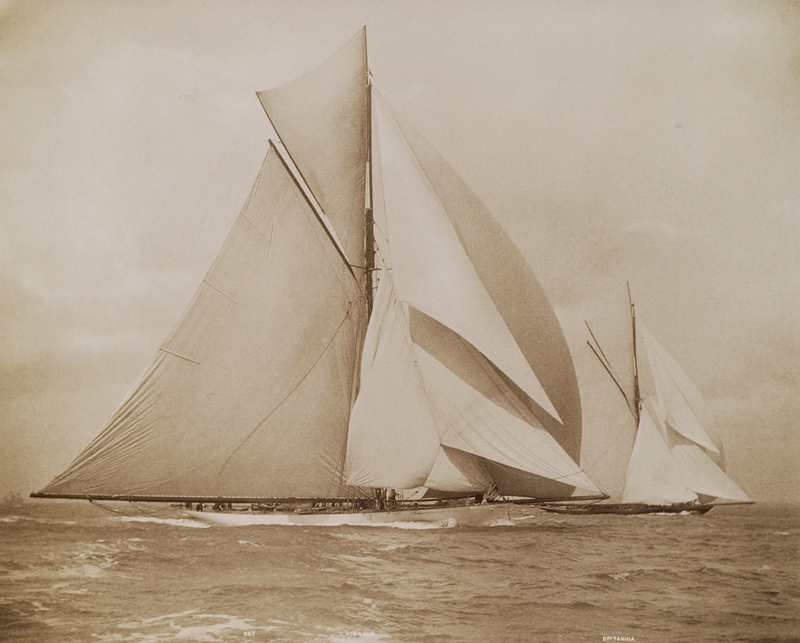 Genesta 1885; Owned by Sir Richard Sutton; Limited edition print by Gerard Aniere; signed by Ken Beken (Beken of Cowes) Print: Salt and Silver Nitrate 504x375mm, mounted and signed. 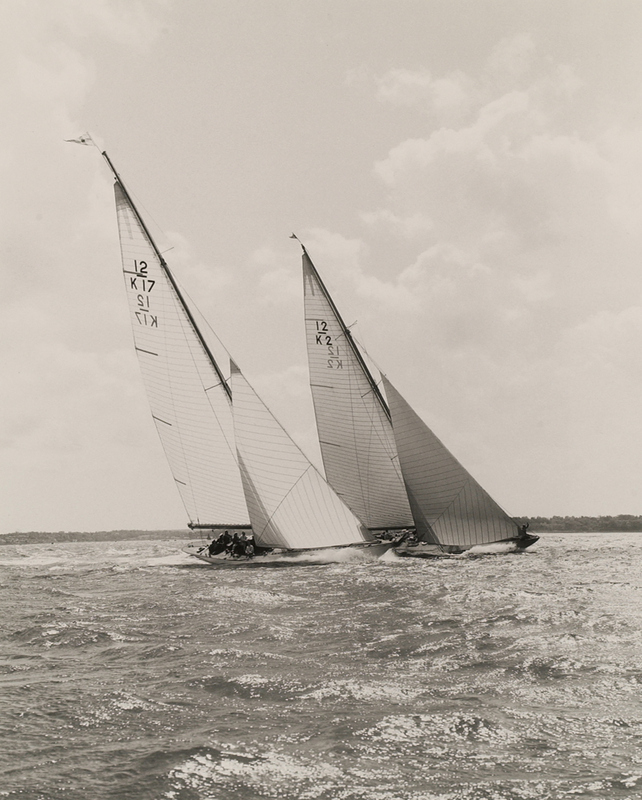 Scepter and Evaine 1958; designed by David Boyd; Photographed by Beken. 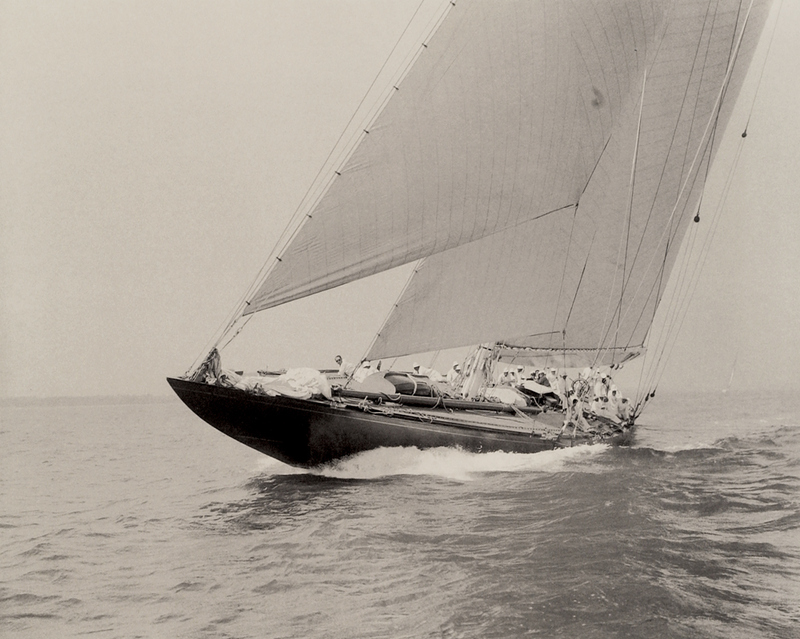 Limited edition print by Gerard Aniere; signed by Ken Beken (Beken of Cowes) Print: Silver Bromide, Print Size: 504x375mm, mounted and signed. 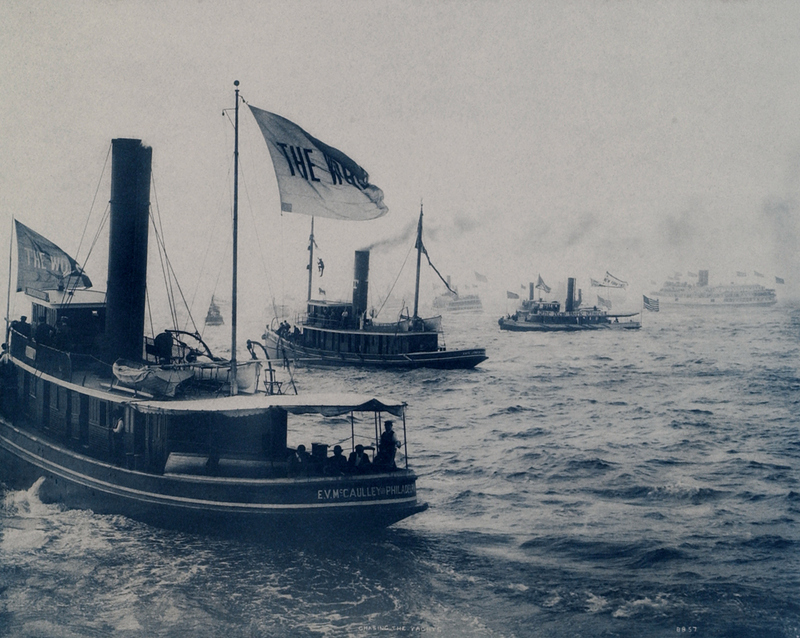 Spectators Fleet 1895; the early steamers amongst the racing yachts caused real concern to the organisers of the America's Cup Race and later races segregated the racing yachts from spectators. Print: Pigment over Cyanotype; Limited edition print by Gerard Aniere; signed by Ken Beken (Beken of Cowes) Print Size: 497x384mm, mounted and signed. 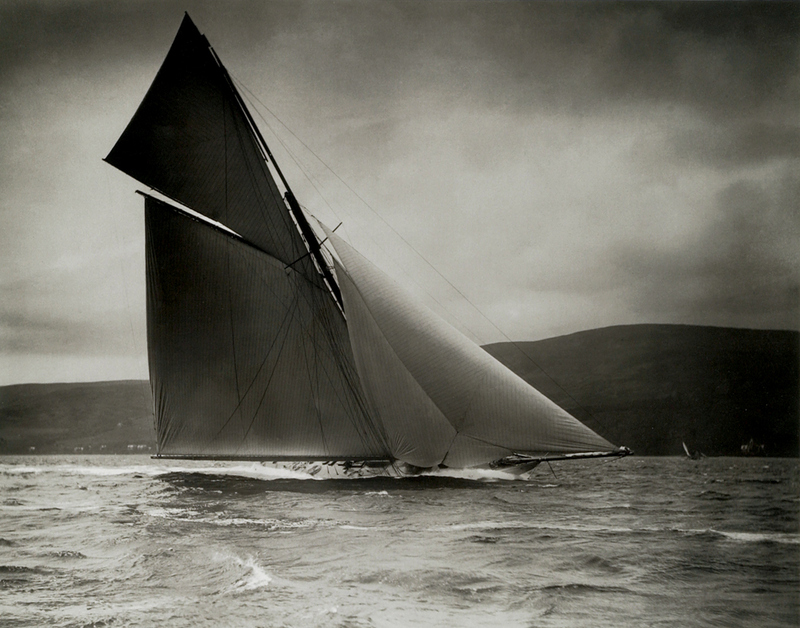 Valkyrie III 1895; Designed by G I Watson for the Earl of Dunraven. Print: Carbon, gelatin coated paper sensitised by Dichromate Salt. Limited edition print by Gerard Aniere; signed by Ken Beken (Beken of Cowes) Print size: 503x382mm, mounted and signed. II Moro di Venezia & America III 1992; built by Raul Gardini and Bill Koch respectively, became the first European boat since 1937 to sail in the cup match. Print: Giclee; Limited edition print by Gerard Aniere; signed by Ken Beken (Beken of Cowes) Print size: 500x400mm, mounted and signed. 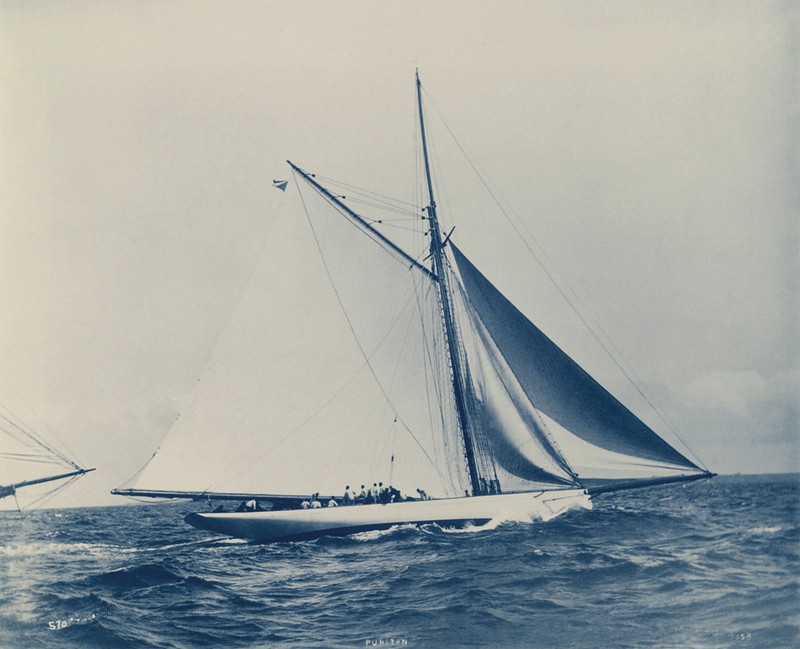 Puritan 1885; Winner of the 5th Americas cup challenge. Print: Cyanotype, Limited edition print by Gerard Aniere; signed by Ken Beken (Beken of Cowes) Print Size: 503x383mm, mounted and signed.